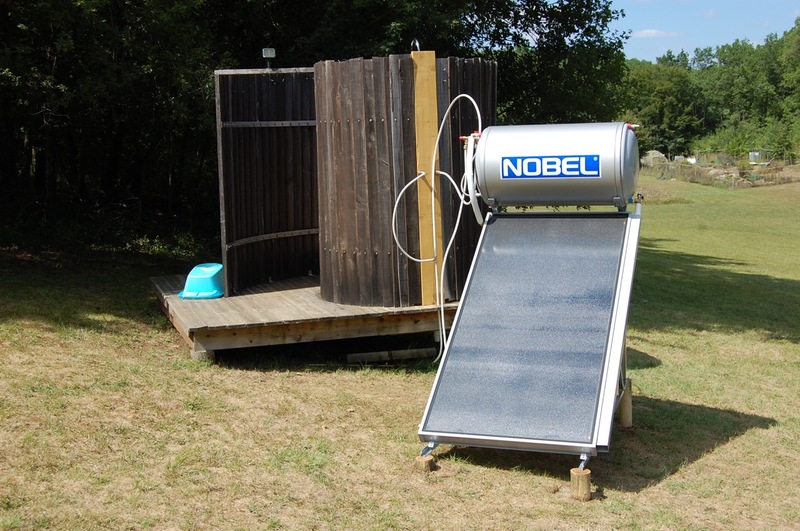 As promised in this post, the new solar shower went in this year. Made by Nobel in Greece, with some parts from Italy, guests now have hot water at any time of day or night. Great news! A cool(ish) shower was OK (& even welcome) on a super-hot day, but cold showers are an acquired taste – one that I never acquired. Yet another reason to revisit Ecovallee.